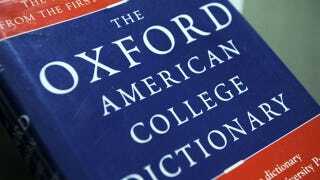 Oxford University Press has updated its dictionaries to include very important words that we use basically every day, like "vape" and "binge-watch." In order to keep up with and properly reflect language trends, Oxford editors track 150 million English words used online or in print and from there decide which words are used frequently enough to merit a dictionary entry. Along with "vape" and "binge-watch," editors have also added words like "Paleo diet" and "listicle." "For some of these, we will say 'What was that?' in a decade. Others may become the next selfie," Martin said.